inscription: Bottom edge has "C. Braga (c) 1967 Straight Theater Enterprises, Inc." printed in red. Poster has a gold colored background with red text and images. Around the edges are red swirl borders and zodiac symbols. The bottom center has a pyramid and a male figure with wings. 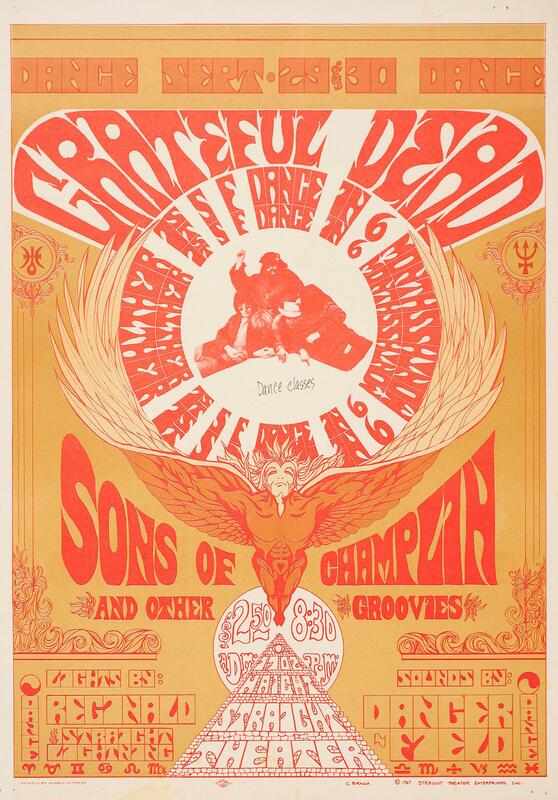 The center has a red and white photograph of the Grateful Dead. 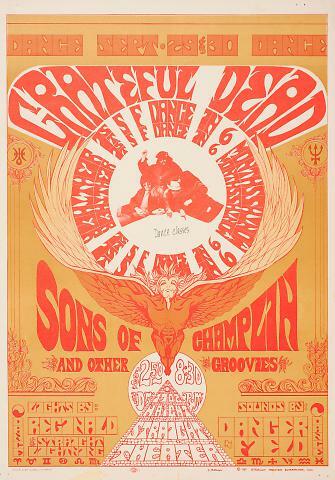 The poster reads from the top to bottom: "Dance Sept. 29 & 30 Dance/ Grateful Dead/ Sons of Champlin/ and Other Groovies/ Lights by: Reginald Straight Lighting/ Sounds by: Dancer Field./ 1902 Haight Starlight Theater."